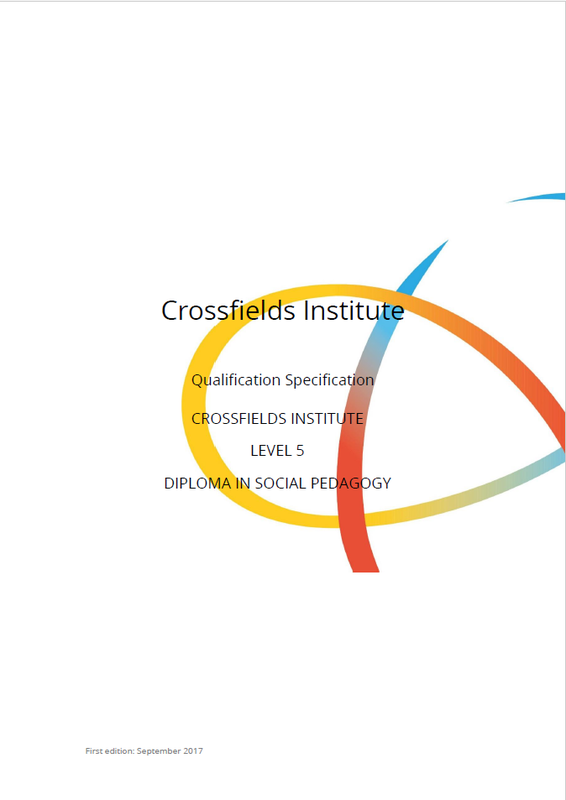 Over the course of 2017, we have jointly developed the Crossfields Institute Level 5 Diploma in Social Pedagogy with our colleagues at Jacaranda Development, Crossfields Institute and the Social Pedagogy Professional Association. The qualification is available for new learners who can join one of our 12-day open courses, with the next one starting April 2019 (Preston). For previous participants in our social pedagogy courses there is a fast-track route of five top-up days, starting in February 2019 (Edinburgh). Why learn about social pedagogy? Social pedagogy connects care and education through relationship-centred practice. Its central idea is that each person has inherent potential, is valuable, resourceful and can make a meaningful contribution to their wider community if we find ways of including them. The objective in social pedagogical practice is to create the conditions in which people can thrive and unfold their unique potential. As a social pedagogy practitioner you are able to form warm and authentic professional relationships that make a genuine difference to the lives of the people you work with, play an active part in developing your organisation’s approach and address social inequality through educational means. This module provides an overview of key theories and principles in social pedagogy and equips learners to apply these in relationship-centred practice, based on the Standards of Proficiency for Social Pedagogy. This module aims to help learners to develop social pedagogical leadership skills and supports them in developing social pedagogy within their own organisation. Learners will become familiar with how they can fulfil a leadership role in a social pedagogical manner, placing ethical considerations at the heart of decision-making and resolving ethical dilemmas. This module helps learners familiarise themselves with the social-political dimension of social pedagogy as an ethical orientation concerned with social issues: promoting human welfare, addressing social inequality and creating conditions in which individuals, groups and communities can unfold their potential. You will have access to our virtual learning environment, one-to-one tutorial supervision and ongoing support in your learning and assessment. Assessment includes essays, presentations, and a creative practice project. Social pedagogy is highly relevant for inter-professional practice in education, health, and care settings across the life course. Successful graduates of the qualification will meet the SPPA Standards of Proficiency in social pedagogy and may carry the title Social Pedagogy Practitioner. The qualification credits enable progression into further study and relevant degree programmes in higher education. Jacaranda and ThemPra, UK pioneers in social pedagogy learning and development, are approved to deliver the Diploma. This is built on our longstanding experience in facilitating social pedagogy courses. When and where does it start? Starting in 2018, we will be running three open courses across England and Scotland. Please register your interest early, and we will endeavour to plan locations around your needs. Courses can also be commissioned by single organisations and regional clusters of organisations (please contact us for further information), so it’s worth checking out with your employer and colleagues if they are interested. We are very happy to support you in outlining the organisational benefits of investing in social pedagogy. If you have previously participated in a social pedagogy course, we may be able to recognise your prior learning. Please contact us to discuss what level of support you will require to refresh or deepen your learning and undertake the qualification. The introductory fee for the Full Qualification is £3,100 (no VAT) per learner. 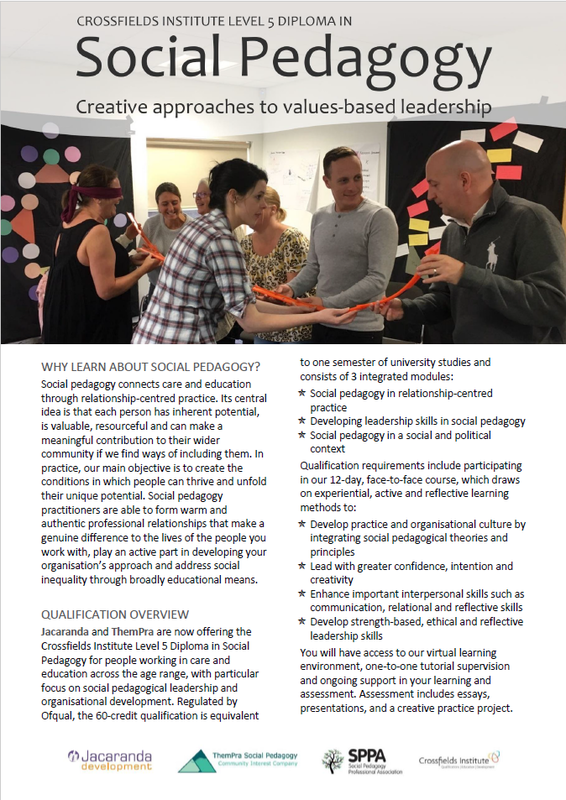 If you have completed a social pedagogy course of eight or more days with us before, the introductory fee is £2,150 (no VAT) per learner for five days of further learning, tutorial support, access to our Virtual Learning Environment and assessment. These introductory fees are subsidised by the Scaling up Social Pedagogy project, so make sure to apply quickly to be amongst the first cohort of learners. Any further questions? You can find all relevant documents in the left column or contact us directly.